This beautifully designed clock would fit in perfect in any room. 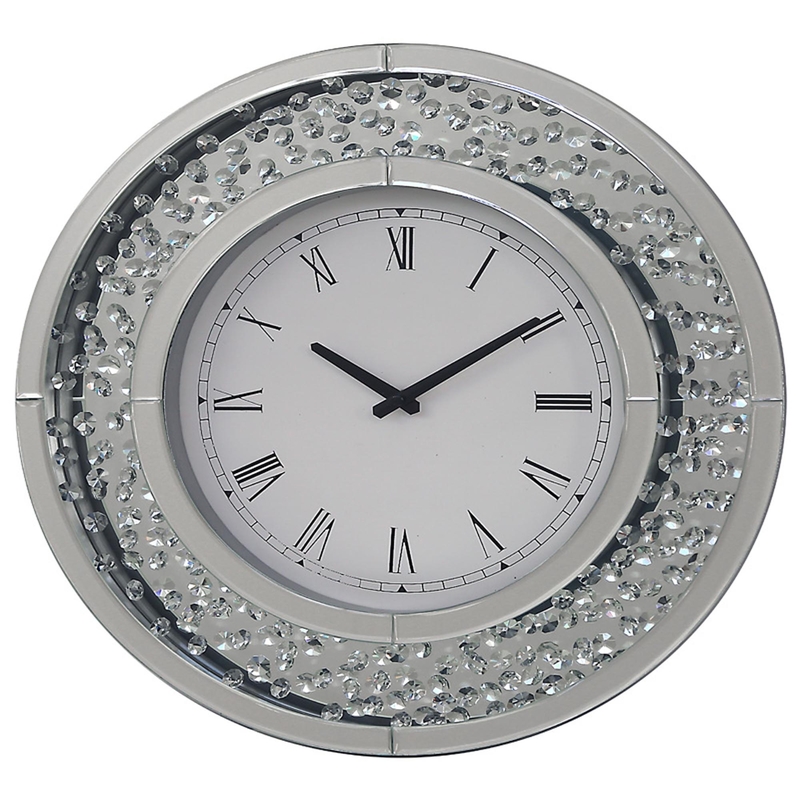 This clock is made from mirrored glass, MDF and is decorated with glass crystals. So this is the perfect piece that is glamorous but not too out there. The clock reads in black roman numerals which contrast off the white clock face making the clock easy and simple to read.